One of the most common questions we get asked is what the teaching job prospects are like for graduates of the INTESOL course and what the likelihood is of gaining employment with a reputable school. We are very proud to say that in over 25 years of running INTESOL courses, all of our graduates have gone on to secure teaching jobs. Not a single graduate was unable to find a job after completing the course. All the jobs on this page will carry good salaries, excellent accommodation and help settling in to a new job in a new country. We only offer quality positions. INTESOL only advertises jobs that actually exist! We have an agreement with an Apostille for a discount on your visa application. See our Visa Help page for more information. 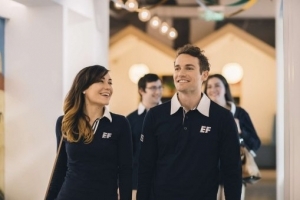 EF English First has language schools in over 60 cities across China. Teaching positions are available in kids & teens schools, adult centers and at the online facility. Classes range from one-on-one sessions to workshops of up to 25 students. Key duties include delivering content utilizing EF’s award winning ESL curriculum and assessing student progress. EF English First schools have web facilities and are furnished with PCs, Interactive Whiteboards and iPads. Teachers have access to ongoing Career Professional Development and are welcomed to partake in social and community events. Applicants must be citizens from the United States, United Kingdom, Canada, Ireland, Australia, New Zealand or South Africa to meet China’s visa regulations. Vacancies in more than 20 cities across Indonesia, competitive packages with full visa support. EF English First has over 77 language schools in Indonesia delivering classes to over 20,000 students. EF English First has both Kids and Teens and Adult schools in Indonesia and teachers have access to the latest teaching materials and in state of the art centers. This isn’t any ordinary desk job- EF English First teachers help your students learn English, practice and become confident speakers, changing students’ lives forever. From application to arrival EF English First provide full support and assistance with obtaining a legal working visa, as well as providing applicants with all they need to get started. 12,000,000-15,000,000 IDR monthly after taxes, based on location, qualifications and experience. Applicants must be citizens from the United States, United Kingdom, Canada, Ireland, Australia or New Zealand to meet Indonesia’s visa regulations. Full-time teaching positions available in Thailand: Ayutthaya, Bangkok and Chonburi. 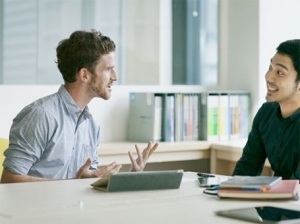 Candidates from non-native English countries may be considered if they speak English clearly and have an excellent understanding of the language and culture. Contracts are semesterly and teachers will be paid 32,000 THB per month. cost of work permits will be covered if the teacher completes 2 semesters. Accommodation: Most accommodation is a standard room with en suite bathroom in either small apartments or guesthouses. The average rent is 3000 – 6000 baht not including electricity. INTESOL has partnered with the highest quality global online recruiting company to offer you an online teaching position. Once you have successfully completed the CELTO or CELTO-TEYL and been awarded your certificate, if you want an interview and fulfil the requirements above please email Lynda Hazelwood at info@celtocourse.com with an up to date CV/resume. Please do not email for any other reason. This is for interviews for eligible candidates only.